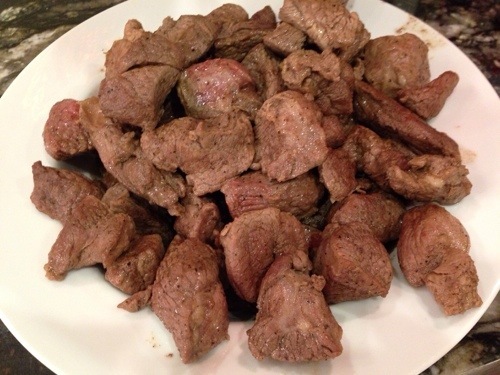 Published on February 16, 2014 in Recipes. 0 Comments Tags: Dinner, lamb, lamb tagine, meat, Moroccan stew, preserved lemons, stew. There is nothing like a hearty meal to shake off the cold winter blues. Fragrant spices — cayenne, coriander, cumin, ginger and paprika perfume this colorful stew. While the traditional dish does not call for browning the lamb before cooking this step tends to caramelize the meat and gives the dish an even deeper flavor. 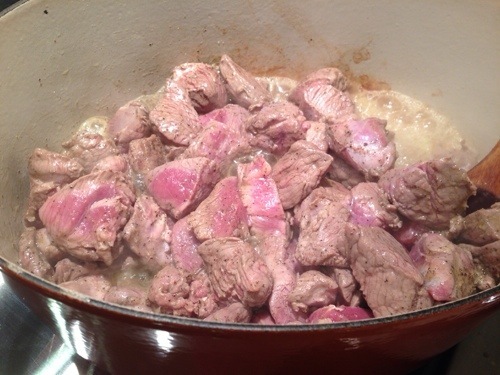 Depending on the cut of lamb used the stew will either appear shredded or chunked. 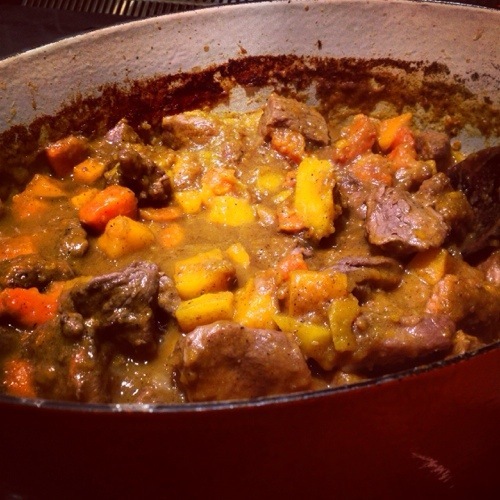 Boneless leg of lamb roast can be used for a more traditional stew (cubed meat, a bit drier in texture) or lamb shoulder (falls apart quite easily) which creates a very moist deconstructed stew. While preserved lemons need to be made at least a week ahead of time, they can also be purchased in some specialty stores. 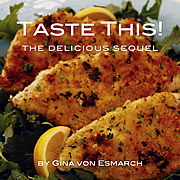 If lemons are not readily available and you want to make this recipe ASAP, lemon juice can be substituted. That said, I highly encourage you to make some preserved lemons to keep on hand – it takes all of 15 minutes and can keep in the fridge for a few months. 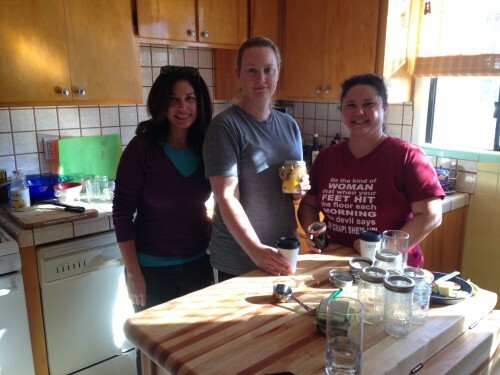 I recently made a lovely batch of these with my canning gal pals Madge and Jessica. 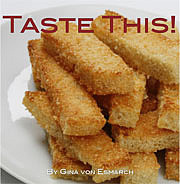 Below you can find Madge’s recipe which is simple and quick to prepare. 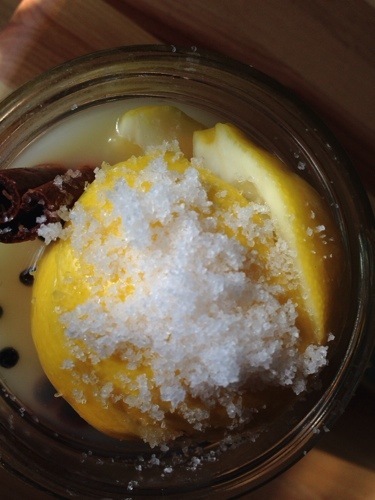 A great base ingredient to keep on hand for dishes that call for a nice lemon flavor. If you’ve never had them, you can expect a mellow yet intensely lemony flavor, with none of the nose-tickling high acidic side-effects of the fresh lemon. The peel — which is the part most commonly used — is soft to the touch and satiny in the mouth. In a large heavy skillet or dutch oven, over high heat, add 1 TBS oil. When hot, add lamb; salt and pepper. Stir to brown well on all sides. 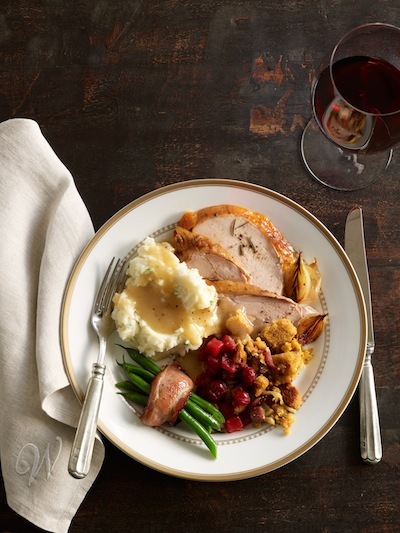 Once browned, remove meat and set aside. Add the remaining 2 TBS of oil. 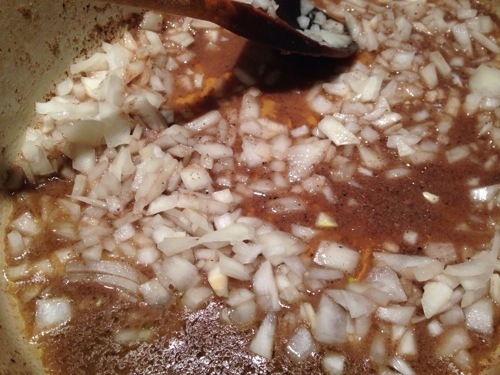 Add the onions and cook over medium heat for approximately 10 minutes, stirring occasionally. Stir in the cayenne, cinnamon, coriander, cumin, ginger, paprika, pepper, salt and saffron. Add in garlic and cook for an additional 5 minutes. 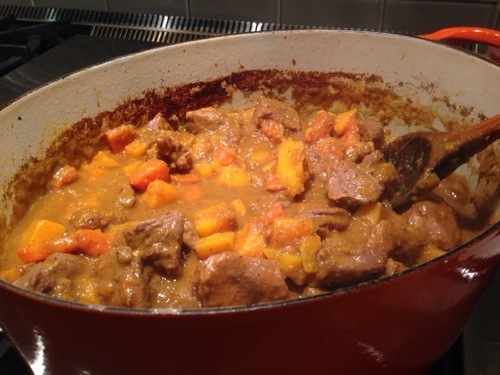 Add the lamb, 1 lb of butternut squash, lemon pulp, 1/4 cup chopped dates and just enough water to cover the meat. Bring to a slow boil, then reduce the heat, cover the pot and cook over low heat until meat is tender about 1 1/2-2 hours. 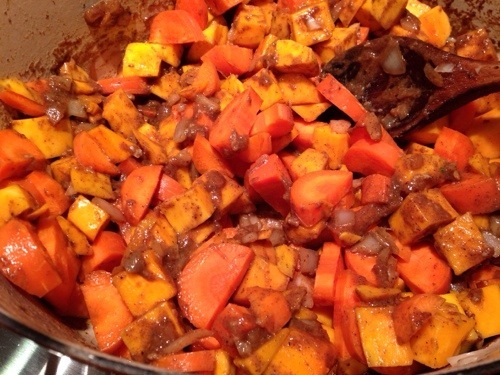 Add in remaining butternut squash, lemon pulp and sweet potato after 1 1/2 hours. Stir to combine. (If you are in a rush, meat can be cooked over medium-high heat, if covered and stirred regularly so that it does not scorch.) Check the liquid level regularly to ensure sauce is not completely evaporated. 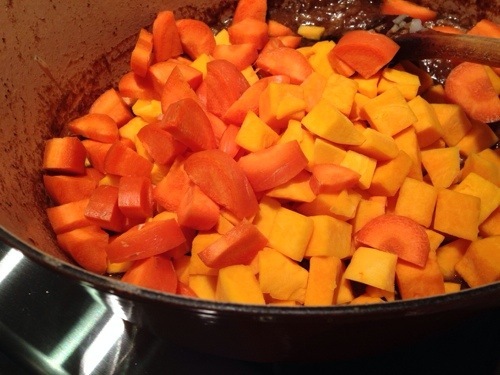 The butternut squash will break down and make the sauce thick, some may stick to the bottom of the pan. 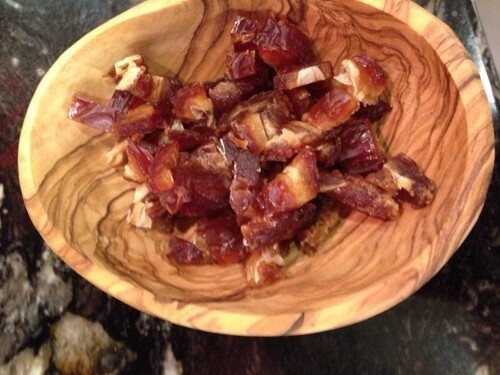 When meat is tender and ready to eat, remove from heat, add the almonds and lemon peel (or lemon juice). 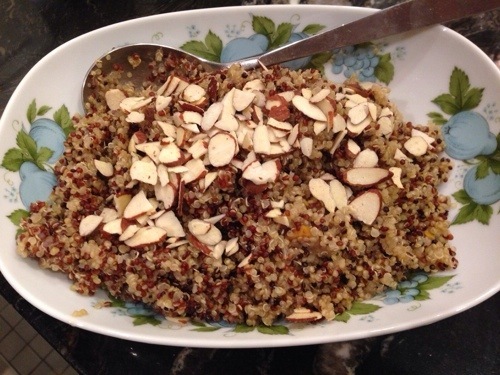 Serve over quinoa and decorate with cilantro and chopped dates, if desired. 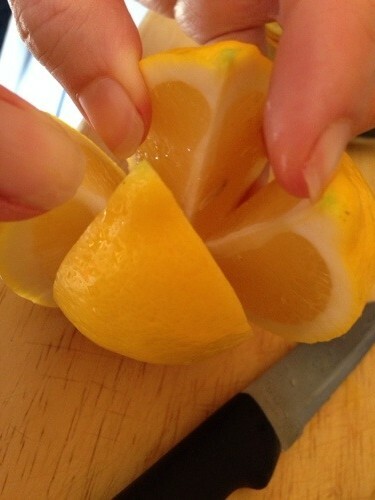 Quarter lemons without cutting all the way through the bottom of the skin so that lemon remains in tact and the pieces are still attached at the stem end. Generously stuff each with a tablespoon or more of salt and squeeze it closed. In a sterilized jar, add in some black pepper corns then add in the lemons pressing each down so that they are squashed together. 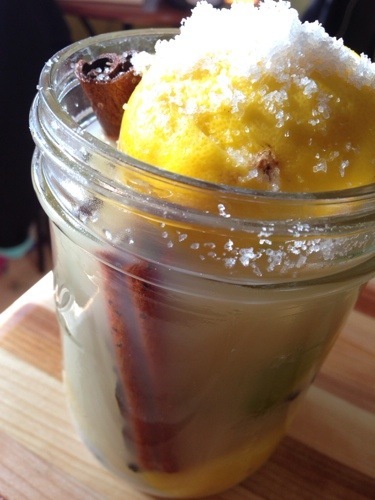 Once the jar is filled, add in more pepper corns, the bay leaf and cinnamon stick, fill to the brim with lemon juice, add more salt on top. 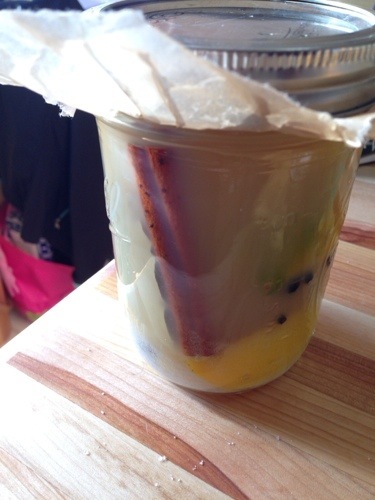 Cover with an over hanging piece of wax paper and close the jar. Shake jar daily, to move the salt around. Allow to set for 7 days, by which time the lemons will have disgorged some of their juices and the skins will have softened a little. Close the jar and refrigerate or store in a cool place for at least a month. The longer they are left, the better the flavor. (If a piece of lemon is not covered, it develops a white mold that is harmless and just needs to be washed off.) 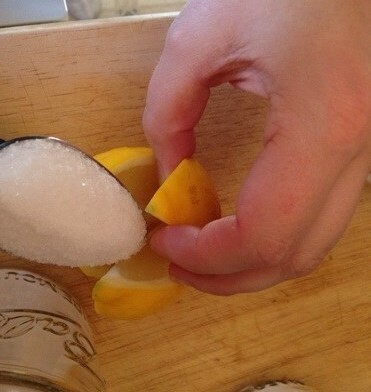 More lemon juice can be added if needed. Before using, rinse under water. Many like to scoop out and discard the pulp, using only the skin. Depending on the recipe all of the lemon may be used once seeds are removed.